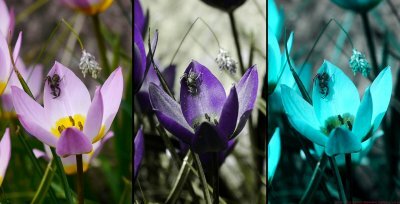 I would wish for a switch to UV if we could do it at will, but we are damned fortunate to have been given human vision! While we are going for that, why not add a zoom lens! Interesting that hunters don’t seem to have ever managed to evolve zoom optics! Perhaps if they did, they would become so efficient that they could wipe out their food supply and so the “advantage” would be self limiting for that genetic line! In this game, prey must escape sufficiently often to be able to over reproduce by some safety margin! It is fascinating that so many creatures even including birds, dogs and cats can see in the UV range. Too bad that we can't. There is such an astounding variety of eyes amongst living species on our planet. Agreed, a very astounding variety is there, namely a crab that sees 255 (!!!) colors especially. A wonderful advantage. I would like a full size MF sensor with that fovea pixel-dense central high resultion feature. One does not need peripheral information except for aporoaching threads and context. But as hunting skills improve, the species risks destroying its food supply and extinction by over-success! So hunters MUST lose a majority of the time or else the game is over in a few cycles. I wonder what the safe level of Hunter success is. It has to be based on the relative reproductive rates and survival of hunter and hunted and the reliability of the food supply of the hunted! Of course. A search reveals a lot of study results of hunter-prey mathematics! It could be that some flower platforms are best as disguising the pollinators from their common predators! Why didn’t I think of that before!! Well so far I have found no scientific reports on the “safe haven” effect of flower platforms, so perhaps I have had an original thought here! Unlikely but possible! 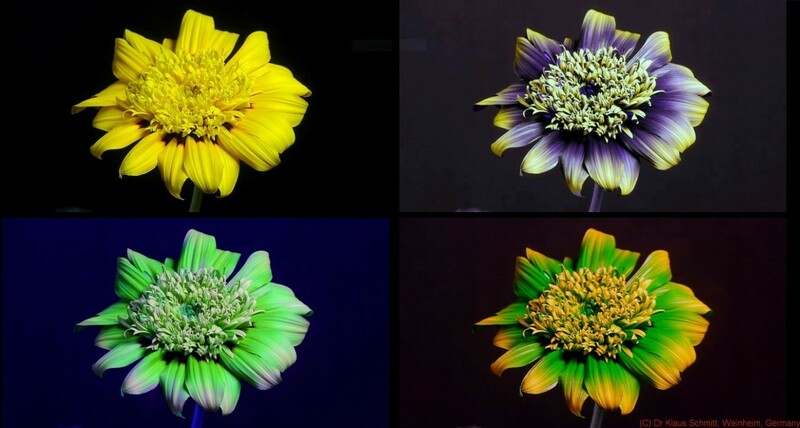 To add to the idea that the UV patterns might help pollinators get information on flowers usefull to them, there is some evidence that in addition to attractive colors and scents, the flower also signals electrically to at least some insects, such as the bumble bee. The hairs on the body will bristle as the charge difference between the negative-my charged flower and the positively charged beef is reflected in the bristle movement, as they arecrepelked from each other. Flowers that have a bee on it or recently taken the nectar have a lower electrical charge and the incoming needs can sense that! Thumbs up to the work! Fabulous! Did you watch the spider catch prey?